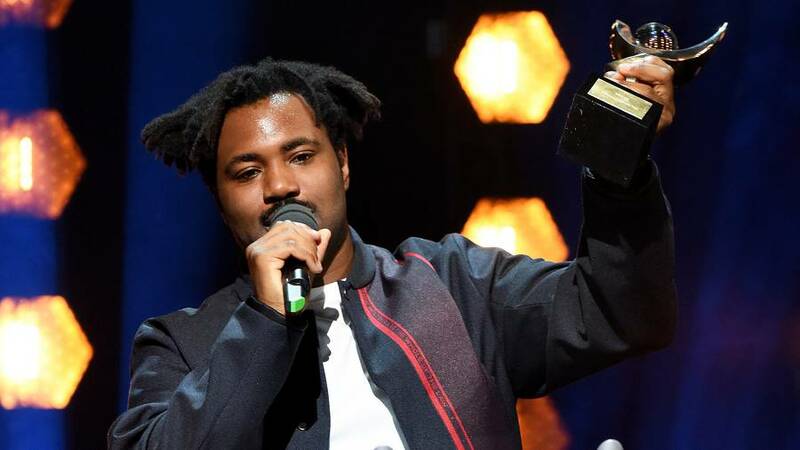 The 28 year old star, full name Sampha Sisay, released Process back in February this year, after a lengthy five-year recording process from when he initially broke through as a guest vocalist on SBTRKT's album. The singer/songwriter said he "felt like I'm dreaming" as he was announced as this year's recipient. "This is incredible", Sampha said as he collected his prize from actor Idris Elba at the Apollo venue in west London. He produced a song on FKA Twigs' debut album, has earned the repeated backing of Drake, and before releasing his debut album this year, became one of *those* recognisable voices. With its unique creativity, rich musicality, depth and vulnerability, it resonates emotionally and speaks to the heart. Stormzy appeared dressed in black standing at a table of others dressed in black with balaclavas to recreate the cover of his hit album during his rendition of First Things First and Blinded By Your Grace. The nominees all performed live, save for Ed Sheeran, who sent a message of thanks via video from Miami. Blossoms, J Hus, Dinosaur, Loyle Carner, The Big Moon, Glass Animals and Alt J were also nominated. Numerous landmark albums have previously won the coveted Mercury Music Prize. Last year, Skepta won the prestigious award with his album Konnichiwa - the first grime artist to win since Dizzee Rascal in 2003 with Boy In Da Corner. Although they don't always get it right and there have been some forgettable winners as well.